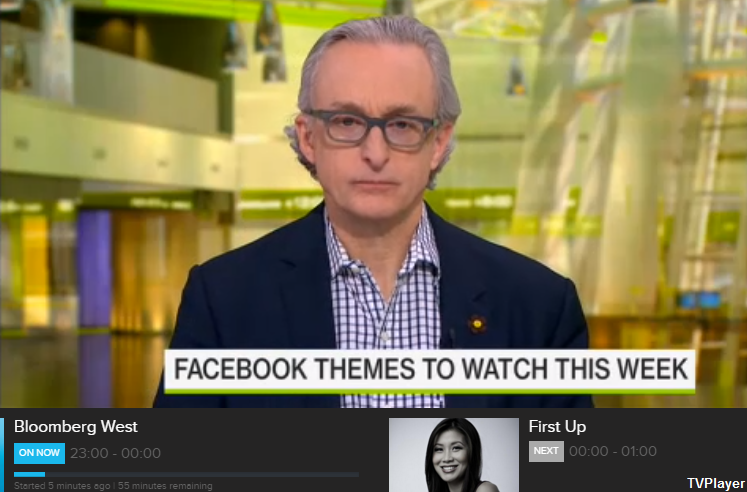 TVPlayer, the online streaming platform now clocking up over 600,000 unique viewers a week, has added global business channel Bloomberg to its free-to-view service. The launch of the channel will offer TVPlayer’s viewers up-to-the-minute, market-moving international business and financial news and analysis through a live and catch-up service, across desktop, mobile, tablet and Connected TV apps, including Amazon Fire TV and Stick. Bloomberg joins over 60 free-to-view channels on the service, which include the main five channels, plus many popular channels familiar to Freeview and Freesat users. TVPlayer also offers a selection of pay TV channels under the TVPlayer Plus brand, including Eurosport, Discovery and National Geographic. "We’re delighted to be increasing our UK distribution through offering Bloomberg Television on the TVPlayer platform. "Responding to the demands of our audience of business and financial professionals, to access smart, relevant content, wherever and whenever they are, on any device is a key strategy. In addition, many of our advertising clients target the UK and this platform offers an additional opportunity for our commercial partners to deliver their advertising messages to their target audience."